September 2002 we spent cycling South Africa. On this first visit to the country we went to Kwazulu Natal. 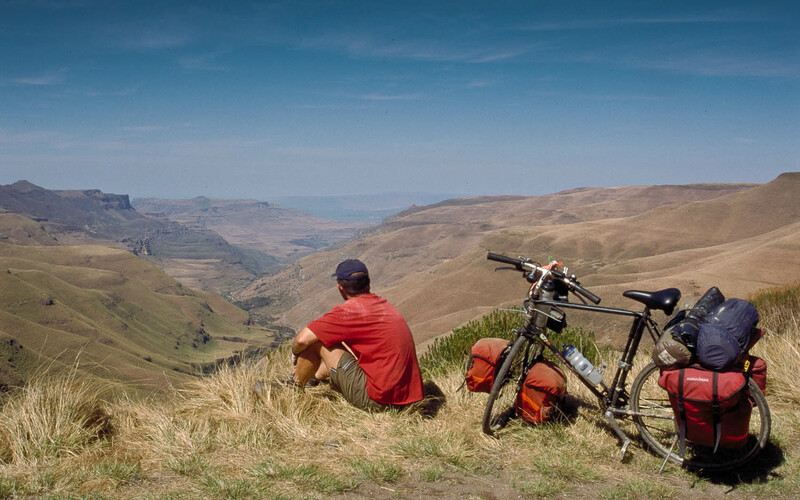 From Durban we cycled along the coast, went inland to Underberg. After a detour into Lesotho we entered the country again near Fouriesburg. We visited Golden Gate Highlands NP and Royal Natal NP and continued to Howick Falls and Pietermaritzburg. This trip ended again in Durban.